Business China offers professional China Import Export Trading Company formation services in all major cities in China, including, Beijing, Guangzhou, Foshan, Shanghai and Shenzhen. Our professional services are aimed at providing our clients with the best available services for setting up a China export business. Thanks to our services, our clients enjoy quick and hassle-free services that are reliable and effective. The services that we provide are designed to meet the growing needs of small and large organizations, along with startups. The streamlined process and our efficient and proactive approach to the formation of a China Import Export Trading Company, enables us to provide fast and cost-effective services. We pride ourselves in delivering world-class services along with the knowledge and expertise you can depend on when it comes to a China Import Export Trading Company formation. The trading might of China is second only to the United States. Since national economy fluctuated in the past years, China’s import/export power plays a crucial role in the stabilization of the global economic landscape. This also ensures the sustained development of China’s domestic economy. On one side, as one of the troika of the economic growth and sustainability of China, the country’s import and export trade is also related to this incredible transformation and the upgrading of its domestic financial and economic structure. Another crucial factor to keep in mind is the deepening of global economic integration. What this means is China’s import and export trade is going to bring about unprecedented opportunities which will allow the deepening of international industrial divisions of labor cooperation along with promoting the stability of the international financial order. So, it makes sense for international enterprises to start a China Import Export Trading Company at this time. 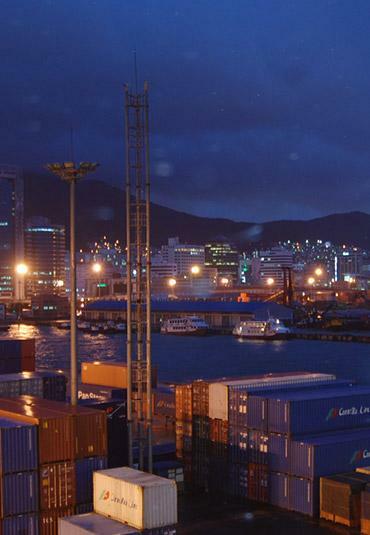 It’s easy to see the benefits of a China Import Export Trading Company. The most common and acceptable business model for setting a trading business is trading WFOE (Wholly Foreign Owned Enterprise). This is a limited liability company with 100% shares owned by its foreign investors. It is crucial for a trading WFOE to be equipped with both an import and export license in order for it to be able to import or export commodities to and from China. The main reason for establishing a China Import Export Trading Company not is to return VAT, which is the most common way for foreign investors to invest in a business in mainland China. Business China has in-depth experience in helping foreign companies with a China Import Export Trading Company formation. The services we provide are tailor-made according to your specifications to do business in China so don’t hesitate to contact us to find out your options, and say “HELLO” to a new business destination. Those business owners who are looking forward to starting their China Import Export Trading Company will need someone who knows the process of a China Trading WFOE Company Formation. During the process of a China Trading WFOE Company Formation, the business name will have to be made of four parts, i.e., the administrative division, company name, industry characteristics and organizational form. For example, the ‘Guangzhou Tian Di International Trade Co., Ltd.,’ “Guangzhou” will be the administrative division, “Tian Di” is the company name, “International Trade” is the name of the industry, and “Co., Ltd is the is the organization form. The administrative division is going to be the name of the foreign trading company that can be after the company name. For instance, “International Trading Company of Tian Di (Guangzhou); it can also be in the form of organization, for instance, “Tian Di International Trade (Guangzhou) Co., Ltd. The foreign trade company’s name should use Chinese characters under the national standard. The company’s name will be composed of two or more characters, and shall not appear in Pinyin letters, Arabic numerical. The China Trading WFOE Company Formation’s English surname shall have no particular requirement and can be placed on the company’s official stamp. Furthermore, approved by the government bureau with registered capital of around RMB 50 million, the China Trading WFOE Company Formation’s name can be used without an administrative division. If you are worried about having to navigate through the complexities of a China Trading WFOE Company Formation then you have come to the right place. According to practical experimentation, the minimum registered capital is closely linked with the real condition of the company which is to be on record. This includes, the current conditions of the primary products, services, enterprise business scale and proposed registration, including the different areas of the enterprise and the investor strength of your company. Normally, all small to medium sized foreign trade companies will have to choose to register for an amount of up to 5 million yuan, 3 million yuan, 1 million yuan, or 500,000 yuan, and of course, there is also going to be the option of registering for 30,000 yuan, 100,000 yuan and 300,000 yuan can also be registered. If the strength of the investor is said to be equal then the hither the registered capital, the feeling will be more assured. This is due to the fact that an amount that’s too small can negatively impact the business and the company. If the foreign trading company is in need to apply for the general taxpayer then it is recommended that the registered capital will need to be a bit higher. Needless to say, there are plenty of problems that arise when it comes to a China Import Export Trading Company formation and dealing with registered capital, and the many other factors that go into a China Import Export Trading Company formation, which is why you are going to need the guidance of the experts when it comes to a China Trading WFOE Company Formation. The shareholders of the China Trading WFOE Company Formation are not required to pay the entire capital contribution in a single lump sum, and you will have up to 30 years to do the capital injection. The trading WFOEs get to choose the method of the capital contribution. That being said, the amount for the initial period shall be no less than 15% of the amount of capital that was subscribed, and shall not be less than the statutory minimum amount of the registered money. The foreign investors are able to invest freely in convertible foreign currencies that are to be remitted from abroad to China. Previously, after the investors paid each period of the capital contribution, trading the WFOEs were to issue the capital verification report and submit it to the examination and approval authorities for filing after the capital contribution was received. However, this provision has been canceled in order to facilitate foreign investment in China. To find out more about this you can contact our consultants for China Trading WFOE Company Formation. Business China has years of experience in China Trading WFOE Company Formation and has got a professional team who can guide you through the process. With a team of experienced and highly qualified auditors, accountants and business consultants, Business China is the one-stop solution that will be your gateway to China and Hong Kong. We follow the business philosophy of “being honest as a bridge, focusing on professional services for the customers.” We’ve also been working with SMEs and countless entrepreneurs, including foreign investors who want to invest in China and can provide unmatched quality when it comes to providing our valuable insights. Import / Export license is the necessary qualification certificate that a trading WFOE should equip with to operate import/export business in China. A trading WFOE without the import/export license cannot engage in trading business in China. How to Apply for Import / Export License? Request for a Free Consultation. Hong Kong has long been the third financial hub right after New York and London and won a worldwide reputation as the international trade center and shipping hub. Registering a company in Hong Kong as an added component of setting up a legal entity in Mainland China has many taxation advantages. Tax rates are comparably lower by OECD standards, and it is mostly a tax-free safe harbor for international businesses. What're the Advantages of Using Hong Kong Company as Holding Company of Trading WFOEs? Hong Kong’s world financial center status and its sound legal system to protect investors, Hong Kong company have regarded as the most convenient way and most natural channel to start the international business. It will improve your customers’ trust in you and own your high social acceptance if you have a limited liability company based in Hong Kong. Hong Kong company needs no capital contribution and can establish within seven working days or even one day. Hong Kong company’s name has no limitation and could contain the country name, such as a Hong Kong company could name as “US Channel Limited,” which will give an impression that this could be a US company when a client first hears about it. HK company is a limited liability company with responsibilities limited to its capital subscribed. Meanwhile, if the foreign investor uses an alien individual or a homeland mother company to hold the trading WFOE in China, it may have the possibility to drag them into a long-term lawsuit if mishandled the business operation in China. While using Hong Kong company holding the trading WFOE can further prevent the trial. Hong Kong company has renowned the world for its advantageous tax system. Only profit made from HK requires paying 8.25% profit tax. As long as the business incorporated correctly, a charge could save from Hong Kong side. Consult Business China. 2018-10-10 How To Verify A Chinese Business Registration Number?